Reading “Battles of the Heart” by Tracie Ciambotti brought back so many memories for me of my own deployment journey. 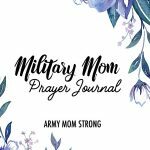 Aimed at Military Moms that are new to the military world, Tracie shares her deepest feelings about what it’s really like to suddenly be immersed into this military life. Part I is her personal story. 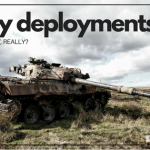 Part II lays out a plan for you to navigate this Military life. I love Tracie’s story in part I. I won’t give away all that she shared, you’ll just have to read it for yourself. But, a few of her experiences mirrored my own with my son when he was deployed. It touched my heart deeply. Her writing is very real and emotional, which I related to on so many levels. Sharing real stories about her son’s experiences while deployed to a combat zone, Tracie reveals her deepest fears and feelings during these times. Something we all go through as Moms. 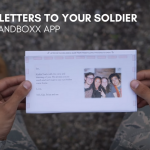 Her most important message is the change that she had to go through in order to handle her new normal from boot camp to deployment. Those facts do not change so she relied on her Christian faith to develop the strength and resilience to make the necessary adjustments. 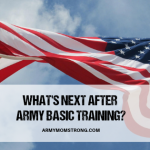 Part II is a fabulous Boot Camp for Military Moms. 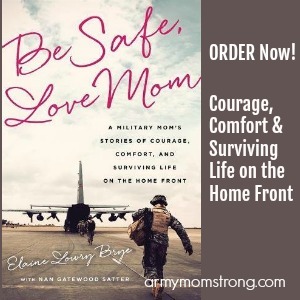 Focusing on the six area that soldiers are trained for in Boot Camp, she maps out how those same disciplines and lessons apply to us Moms. This part is so important for any Military Mom to learn! When our children are in the Military, that doesn’t change, so we HAVE to! Although this book is written from a Christian perspective, the lessons are extremely valuable and you will surely learn some useful tools to get you through these trying times from that first boot camp separation to overseas deployments. 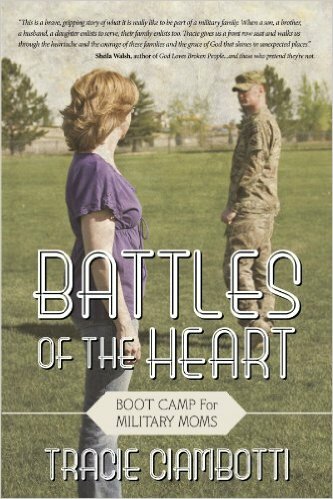 I highly recommend “Battles of the Heart” for any Military Mom that is new to the challenges we experience on a daily basis. 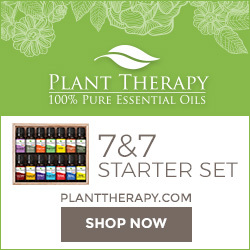 Click here to purchase Battles of the Heart! I hope you enjoy it and get as much value from it as I did! Battles of the Heart is a must read for every military mom. Just starting the journey of surviving basic training or feeling all the emotions of deployment this book will be key to get through it all!